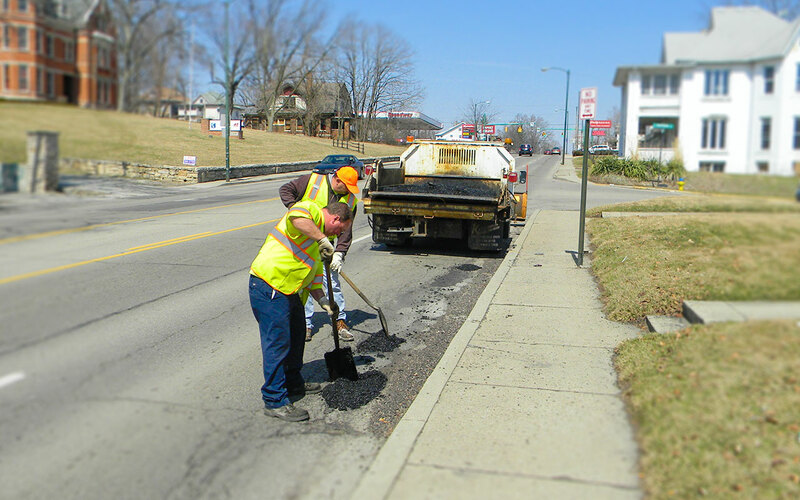 The Street Maintenance Division is responsible for the maintenance and repair of City streets. Activities include pothole repair, crack sealing, asphalt repairs, guardrail repair and replacement, and street sweeping as needed. During winter months, crews are responsible for ice control and snow removal on arterial, collector, and residential City streets. Included in the division’s duties is posting of No Parking signs and removal of debris and dead animals from the public right-of-ways. The Street Maintenance Division attempts to repair potholes on streets as soon as they become a problem. Alleys are lower priority and are repaired as workload permits. Please use the Report a Concern feature on the website to request pothole and street repairs, as well as other service requests. You may also call the Service Center at (937) 525-5800. The Service Department is responsible for ice control and snow removal on all public streets in the City of Springfield. The City’s goal is to have all arterial and collector streets cleared within 12 hours after the end of the storm. Residential streets are addressed on a storm-by-storm basis and given varying levels of attention according to factors such as temperature and amount of snow and ice. Questions may be directed to the Service Center at (937) 525-5800. The City’s Snow Route GIS Map depicts streets throughout the City that have been given priority designations: A, B and Residential. The priorities are established by consideration of traffic volumes and the maintenance of essential functions. Criteria considered are State routes, Federal routes, streets to hospitals, bus routes, high volume streets, schools, fire stations, railroad crossings, signalized intersections, bridges, hills and curves. The City provides a street sweeping program for City streets in the corporate boundary. All streets are swept at least once every year. 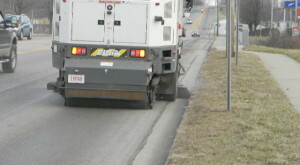 Sweeping is performed by City crews and through an annual contract with a private vendor. Questions may be directed to the Service Center at (937) 525-5800.